Just before we say our final goodbye to summer of 2015, here are a few beauty essentials that we must still stock while on the go. Afterall prevention is better than cure! With the warm sunshine and the breeze of summer, also come the harsh UV rays and the excessive perspiration. Now we all need to be prepared for this, because runny makeup and unsightly tan lines is not something that can ever be flattering. So to help you out this season, we collated a list of the summer essentials that are necessary for every woman on the go. Here is what we feel are the must-haves to look your absolute best in this sweltering season. 1. : One of the most important things you need to keep in your vanity case is a tube of sun block. The harsh sun rays can do a lot of damage to your skin and it is crucial that you stay protected. You can even opt for a tinted sunscreen so you don’t need to use two different products for your daily skin care routine. 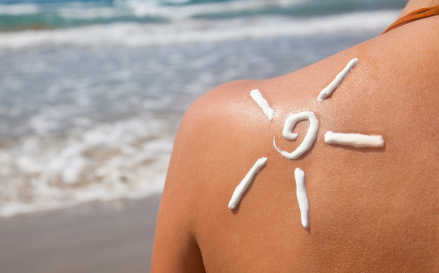 Apply sunscreen generously all over the body focusing on the exposed parts about 30 minutes before heading out. 2. 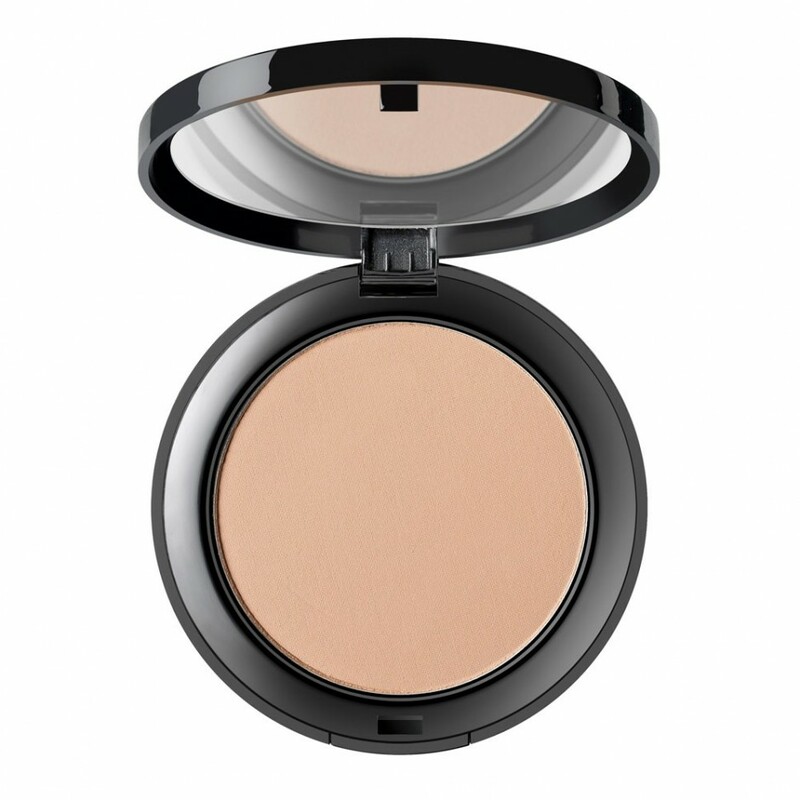 Compact powder: Somewhere around the middle of the day, you start noticing a shine on your face. You have a meeting in ten minutes, and no time to redo your makeup what do you do? Easy, just dab on some compact powder. Start by dabbing off the oiliness with a small tissue paper, and then apply the compact powder all over the face. If you only apply it on the oily patches, your makeup will look uneven. Make sure that it has properly settled on the skin and voila, you are ready to go. 3. Exfoliating scrub: Summer means tanning, perspiration, oiliness and dirt build up in the pores. To tackle this problem you need to regularly and thoroughly exfoliate your skin. 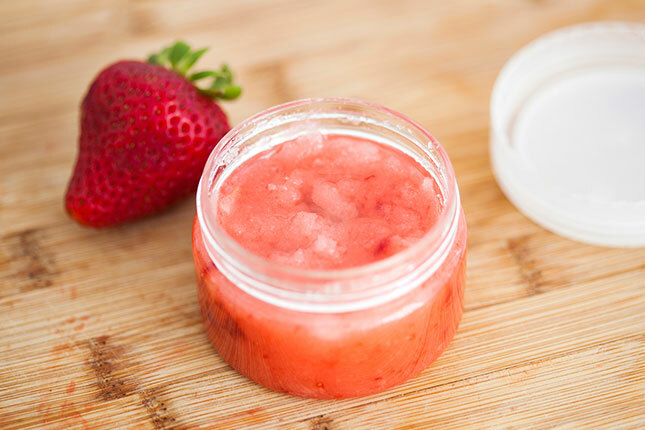 Keep a delicious smelling exfoliating scrub in your bathroom and use it every alternate day. Opt for fragrances like strawberry which not only smell great, but are delicate on the skin and help remove all the toxins and dead skin cells. 4. 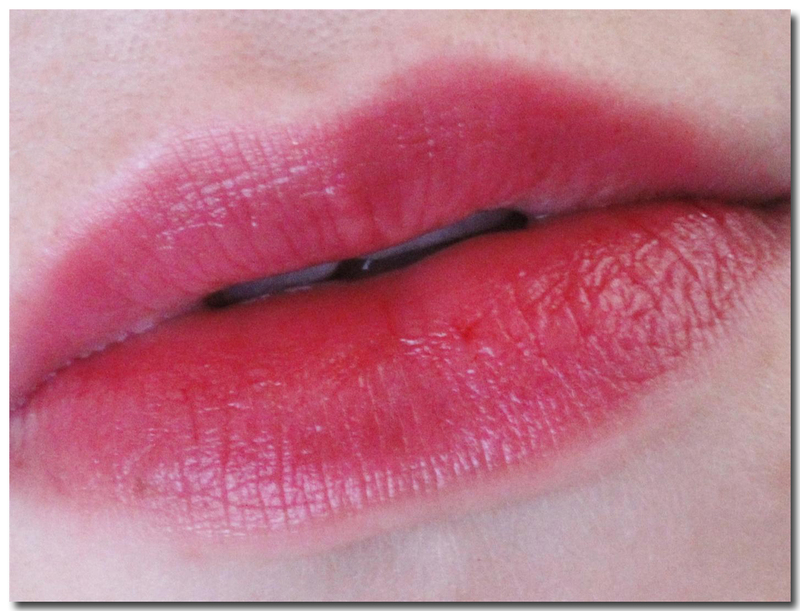 Lip stain: During the hot and heavy summer days, adding on a thick lipstick can make your lips feel cakey. To avoid the heaviness caused by the formula, opt for a luscious lip stain instead. Just a few drops will give your pout a breath-taking look and add the perfect amount of color you need to brighten up your makeup. It’s easy to carry, and easy to apply making it the perfect accessory to keep in your hand bag. 5. Body mist: Keep yourself smelling and feeling great with an amazing body mist. Its water based formula does not cause any damage to the skin and keeps you feeling fresh all day long. Most bottles are easy to carry in your hand bag and just a few sprays once or twice a day will leave a fragrant trail wherever you go.